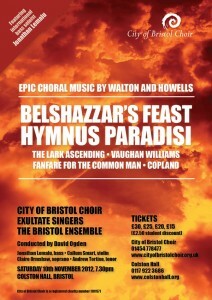 David conducts the 140 voices of City of Bristol Choir and Exultate Singers together Grammy award-winning bass Jonathan Lemalu to perform William Walton’s Belshazzar’s Feast. Full of drama, despair and triumph, the piece is a fast-paced tale of the Babylonian king Belshazzar, and the liberation from exile of the Jewish people. 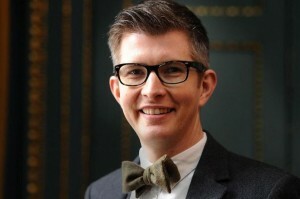 A decade after it sang its first notes in the medieaval church of St James Priory, Bristol’s accomplished chamber choir Exultate Singers returns to mark its birthday with a celebratory concert of the choir’s favourite pieces including music by Palestrina, Parry, J.S. Bach, Purcell, Harris, Whitacre and Stanford. 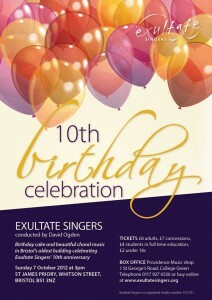 Come and enjoy a slice of birthday cake and an afternoon of beautiful choral music!